Manual wind ladies Cartire Tank Vermeil watch. Manual wind Cartier Tank watch. Product code: W409 Categories: Sold Items, Sold Watches. 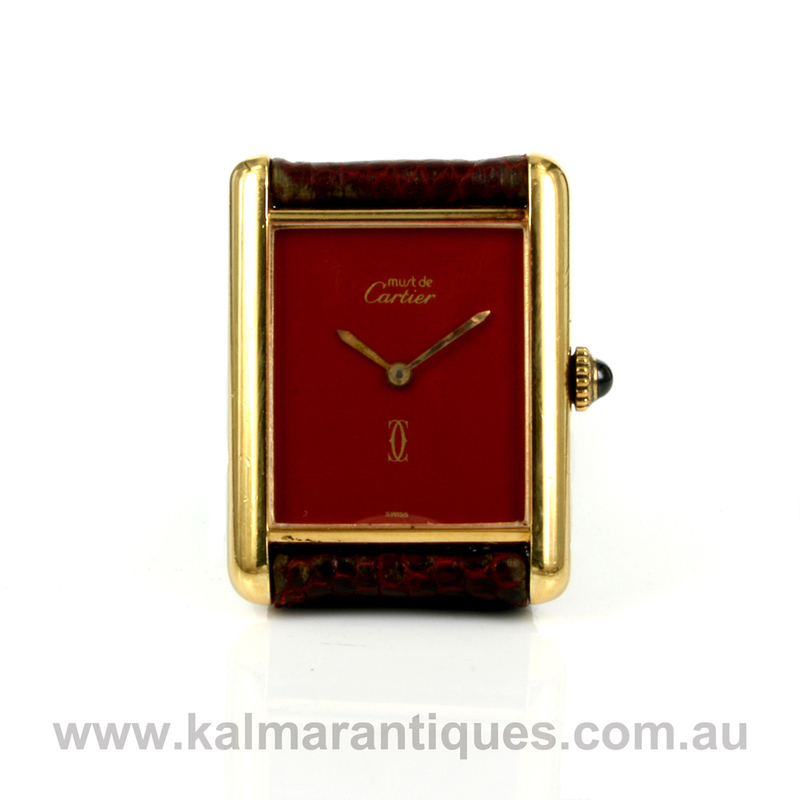 Here is a ladies vintage Cartier watch dating from 1979 and complete with its box and papers. 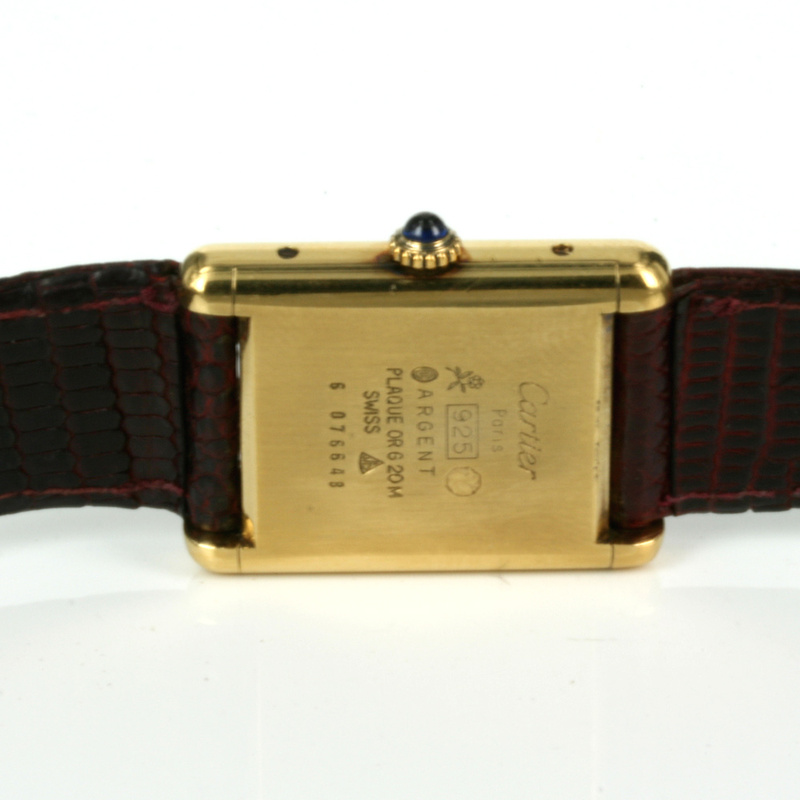 This is the Cartier Tank Vermeil, which is means that the Cartier case is gold plated on sterling silver. And typical of Cartier’s high standard, gold plating on silver makes it last longer as well as having a heavy coating of plating. Measuring 30mm by 23.5mm plus the crown, this Cartier Tank is such a comfortable size to wear all the time. The dial is a fantastic red colour that is so vibrant and looks sensational day or night and finished with gold coloured hands and writing really works well together. Inside is a manual wind Cartier movement that has been serviced, runs great and comes with our twelve month warranty. For day or night, this Cartier Tank Vermeil watch will always look superb.